A snowstorm in Minneapolis has wiped out the final three games of the Minnesota Twins-Chicago White Sox series, and caused a hassle for the Winnipeg Jets on their flight to the Twin Cities for Sunday's NHL playoff game. The National Weather Service issued a blizzard warning for parts of Wisconsin and Minnesota, including the Twin Cities area, until 07:00am local time on Sunday. The NWS noted, "This is shaping up to be a historic storm. Please stay off the roads if possible, especially in southern Minnesota." Total snowfall accumulation of up to 15 inches is possible, with wind gusts up to 35 mph. 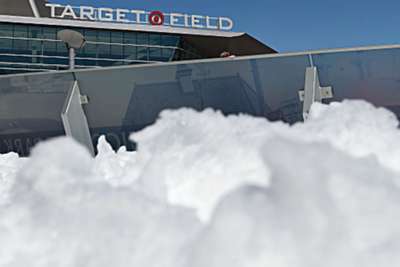 On Saturday, MLB franchise the Twins announced Sunday's game with the White Sox had been postponed due to snow, the third straight inclement-weather postponement. Target Field had never had consecutive postponements, let alone three in a row. The Twins' tweet, "Dang April snow!" said it all. Makeup games for the Twins versus White Sox series will be announced at a later date. Meanwhile, the Minnesota Wild's NHL playoff game against the visiting Jets scheduled for Sunday is still a go, although Winnipeg saw their flight to Minneapolis diverted to Duluth, about 150 miles away on Saturday. 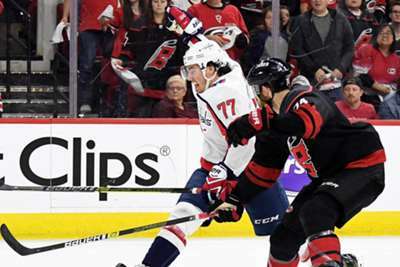 About an hour later, the Jets – who led the series 2-0 – announced it had returned to Winnipeg, and would fly into Minneapolis on Sunday morning ahead of the clash. As of 18:30pm ET on Saturday, operations at Minneapolis-St. Paul International Airport were still halted by the storm, although the facility hoped to open again by 22:00.